This 7ft Black Oxide Olympic Bar is a rugged competitor that has been used in many championship lifts. For the ultimate in building size and strength, this bar is the overwhelming choice of club owners and professionals. 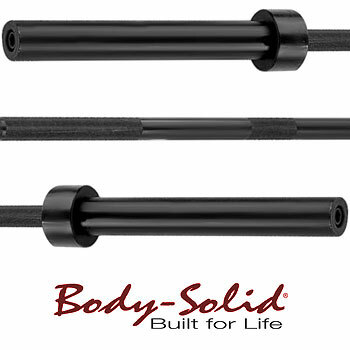 Order your Body Solid 7 FT Black Oxide Olympic Bar from FitnessZone.com today!